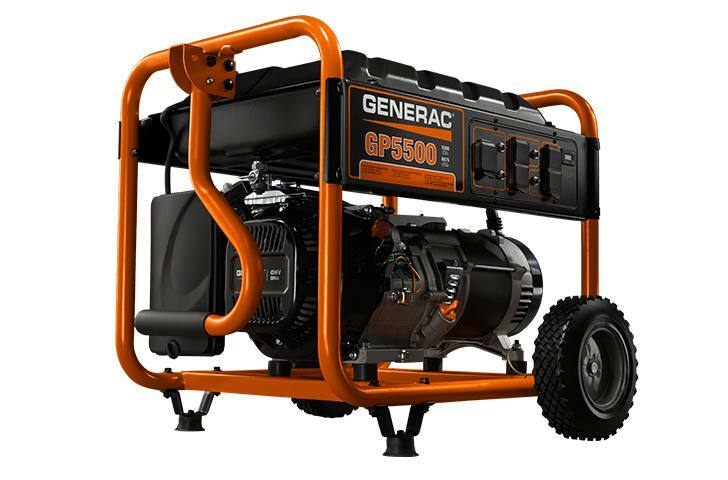 The GP5500 has enough power for emergency use, when you’re not using it for outdoor recreation and DIY projects. 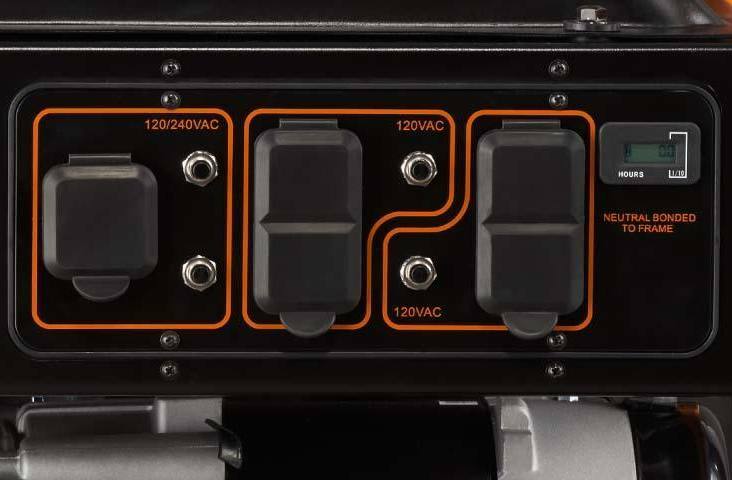 OHV Engine: Generac's OHV engine with splash lubrication provides a long engine life. Large Fuel Tank: Large-capacity steel fuel tank with incorporated fuel gauge provides durability and extended run times. Low-Oil Shutdown: Low-oil level shutdown automatically safeguards engine from damage. Durable Steel Frame: Hardened 1 1/4" steel tube cradle for added durability and strength. Fold-Down Handle: Fold-down, locking handle for sturdy portability and compact storage. Never-Flat Wheels: Heavy-duty, never-flat wheels for reliable portability. Environmentally Friendly: CSA and CARB Certified.